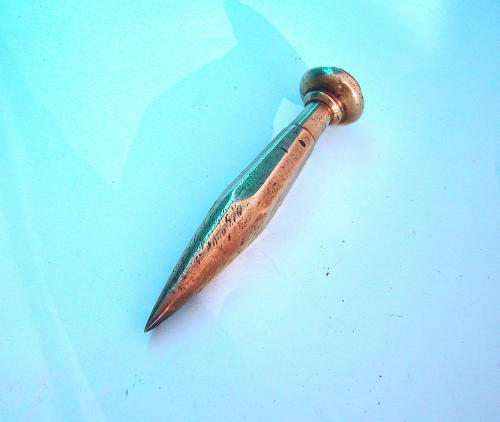 Early Metalware 19thc Brass Sail Makers Fid. English. C1860-80. An unusual form of 19thc Brass Sail Makers Fid...I have not seen this design before, but it is a well made form of these collectable items....very tactile and with a good colour.